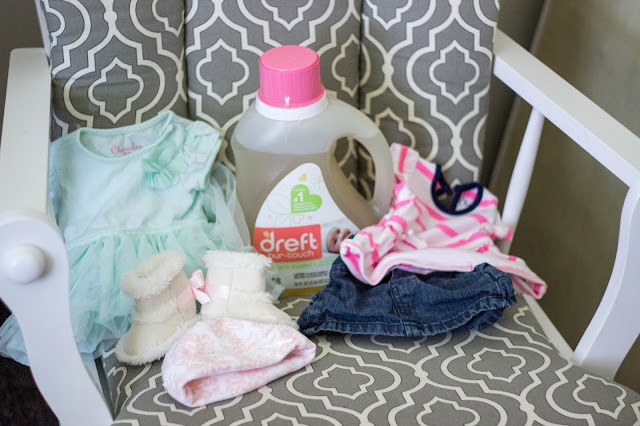 Preparing for Baby C With Dreft Purtouch! | For the Joy of Life. Thank you to Dreft for sponsoring this post! When I was pregnant with Oaklyn, I had a list of a million things to do before she came. My whole pregnancy I was preparing for her arrival and making sure we were set for the big day she entered into the world. This time around, I have felt so much more relaxed about the preparation side of things because we already have everything we need for baby girl! It has been so nice to just take out all the things we already have so they can be used for our second little girl. However, I stumbled across the list I made for Oaklyn's arrival the other day and saw "wash all baby clothes." I remember so vividly doing a few loads of laundry with just little baby clothes and getting so excited as I folded them. Right after finding that list I pulled out the boxes of baby clothes and sorted them into piles based off size. Next up, to wash them! When it came to picking a detergent for washing all the baby clothes, the choice was simple. I went with Dreft purtouch for several different reasons. 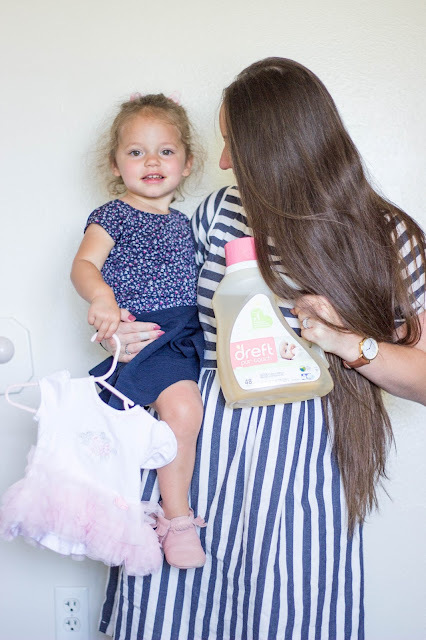 Dreft is already known as the #1 pediatrician recommended baby detergent brand but they recently came out with the new Dreft purtouch formula which is 65% plant based, hypoallergenic, and made with naturally-derived ingredients so it is gentle on baby's skin. Oaklyn and I both have sensitive skin so I don't want to take a chance with this little girl! Dirt, excess dyes, and processing chemicals can linger on baby's clothes so pre-washing can help protect your new little bundle's skin. Nine out of ten dermatologists recommend making sure to wash baby's clothes before using them. Washing baby C's clothes and hanging them up makes her coming feel so much more real! Since she is getting mostly hand-me-downs of baby products, it feels so fun to do something to prepare for her. I can't believe how itty bitty the newborn clothes are and it made me remember how sensitive fresh, little babies are. That's why I'm making sure to use the #1 pediatrician recommended detergent. The bottle is also 100% recyclable! 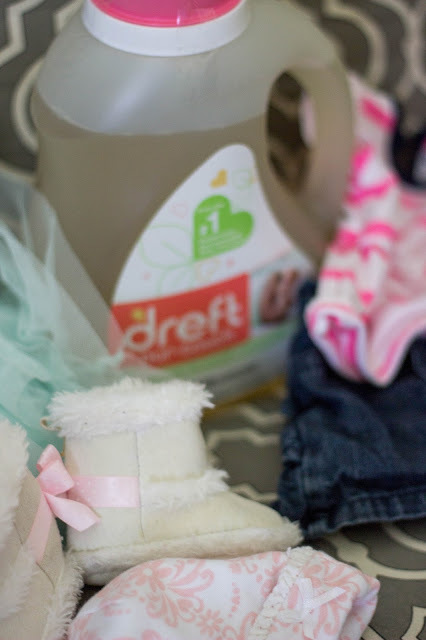 I love that Dreft is creating another option for parents who are seeking products with natural based ingredients! Do you love Dreft purtouch as much as we do?? 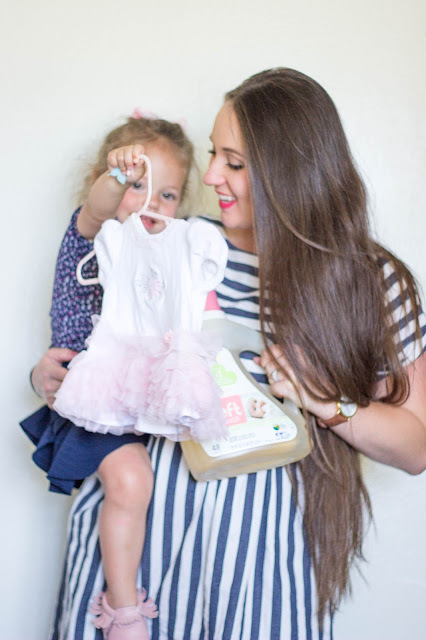 Why should you choose organic baby know about baby productsfor your child? After all, aren't they more expensive than non-organic baby products? In these tough economic times, doesn't saving money make sense? While these are valid questions, you will find that the reasons for buying organic things for your baby far outweigh any reasons you could think of for not doing so.